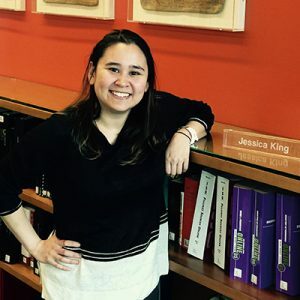 Jessica King is a Reference Services Manager at Perkins Coie in Seattle, Washington. 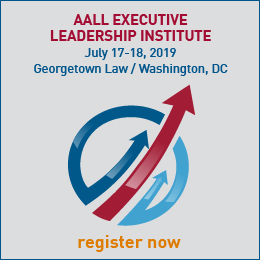 I joined AALL when I worked as a solo law firm librarian for a firm in Lancaster, PA. It was my first job out of library school and I knew I needed colleagues, whether they worked with me or not. It was a great way to connect with other professionals. I continue to meet new people and form relationships. I’m a member of my local association LLOPS (Law Librarians of Puget Sound) and enjoy that community very much. I also get a lot of value out of webinars and the community messages. It gives me a look into what others are thinking about and can sometimes help me find new perspective. I like all the education opportunities. There are so many ways to take advantage and learn something new. In May I attended the Competitive Intelligence Strategies and Analysis training in Chicago. I think it was one of the most educational sessions I have ever attended. I also got to meet new colleagues that I might not have ever met at another meeting. 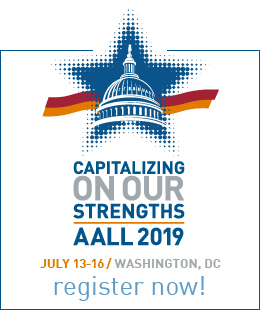 My favorite memory is attending AALL in 2011 in Philadelphia. It was my first AALL meeting so I also attended CONELL. I met another librarian working at a firm close to me in Pennsylvania, Kate Pettegrew, and we have remained friends ever sense! It’s been fun to keep in touch as we have both grown in our careers. I enjoy spending time listening to podcasts, following the NBA and Kentucky basketball, and watching way too much television. Based on how often I do it, I must also enjoy reorganizing my closet very much. I’m notorious for being a librarian who doesn’t read. I’m not proud of it but I have a problem. I start books but can’t seem to finish them. My last successful attempt was Jenny Han’s To All The Boys I’ve Loved Before series. I enjoyed being teleported back to high school and was thrilled when Netflix turned it into a movie. I like to travel anywhere where I can spend time with my favorite people. My brother and I travel a lot. We had a great time in San Francisco recently. I am currently planning a trip to the Philippines and I hope he can come along!